David Shingler graduated from the Cleveland Institute of Art in 2007. He finished first in his class and was chosen to receive the highly prized First Agnes Gund Traveling Scholarship for international travel. David has exhibited work in Montana, Wyoming, Cleveland, Cincinnati, Michigan, New Jersey, Oklahoma, Houston, Colorado and North Carolina. David has been featured in a number of publications including Southwest Art magazine, Fine Art Connoisseur, Western Art & Architecture and Colorado Life magazine to name a few. He was named to Southwest Art magazine's "21 under 31" list of the best new artists in the country. He currently resides between Denver, Colorado and Raleigh, North Carolina. David paints on a commission basis turning photos or descriptions into beautiful paintings. He works with residential clients as well as established corporate clients including Healthcare, Hotels, Law Firms and Oil and Gas. David creates original pieces that are for sale and can be found here. Specializing in painting oil on wood panels, which he personally builds, David creates unique and impressive images that are indeed one of a kind. Lovetts Gallery Gallery Exhibition. February 10th . 2018 Tulsa, Oklahoma. David Shingler Atelier Workshop at the Art Student League of Denver. 'Contemporary Landscapes and Painting Techniques' July 19-22. Solo Show 'Bringing the West to the East' June24th-July 21st. 2017. Atlantic Beach, NC. Adam Cave Fine Art Gallery Raleigh, NC. Opening celebration on Saturday, August 27th 2016. from 7-9 pm. Grand Opening Exhibition. August 4th 2016. Billings, MT. David Shingler Landscape Exhibition. June 24th. 2016. 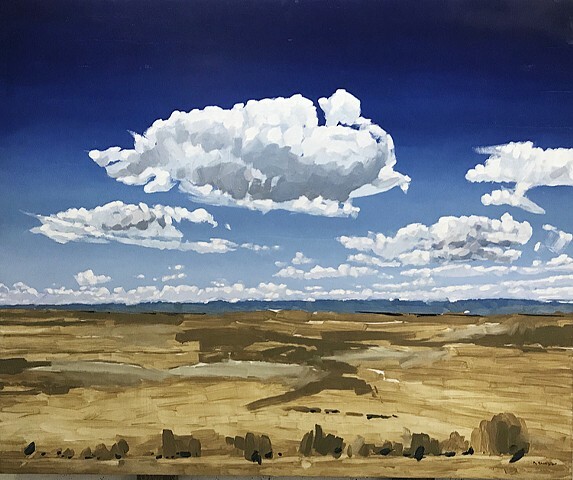 Denver, CO.
Cimarron Sky Gallery 'David Shingler Solo Exhibition' Artist Talk and Live Demo! February 17th , 2016. Charlotte, NC. Cimarron Sky Gallery 'Grand Opening Show' November 19th, 2015. Charlotte, NC. Lovetts Gallery 'The Birds'. October 23-24. 2015 Tulsa, Oklahoma. 3 Person Show - July 10th. 2015. Denver, CO.
Landscape Show - April 24th. 2015. Denver, CO.
'David Shingler an Introduction' August 2-22. Atlantic Beach, NC. Artist in Residency. Winter Park, CO - June 22-25th. David Shingler West Gallery Show - June 20th. 2014. Denver, CO.
Landscape Show - April 4th. 2014. Denver, CO.
Abend Gallery Annual Holiday Miniature Show. December 5th 2013. Denver, CO. Interested in purchasing David's artwork? See what paintings are available here.